only in England for the Palitoy company for only one year—1977. character make for an extremely expensive collectible. unique among Mego figures. The body is a Star Trek booted body. 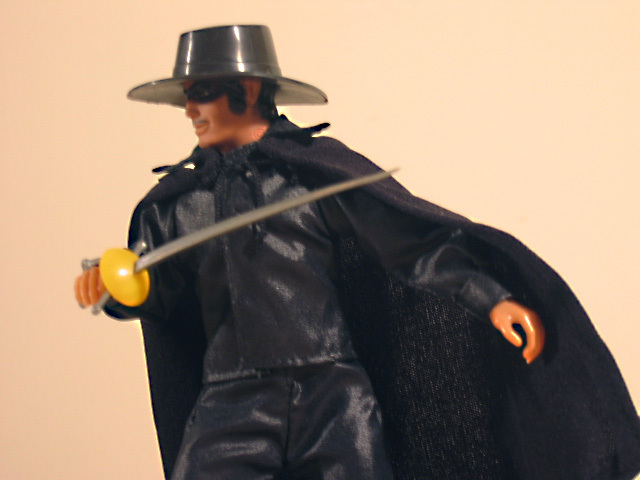 Close up of Mego Zorro hatless (Palitoy collection). cardboard accommodations, courtesy of the curator. 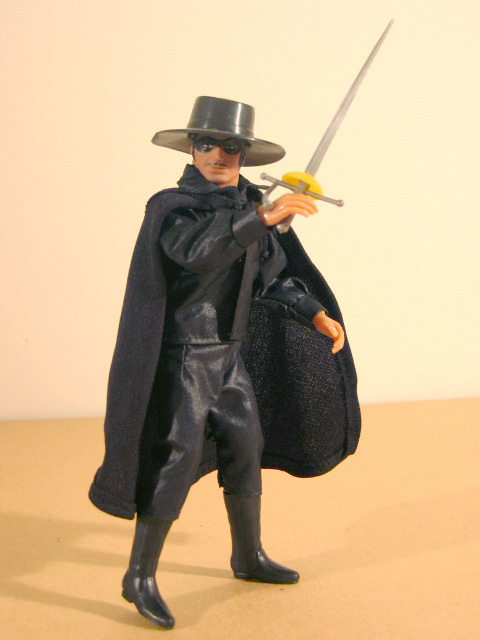 The black Zorro hat is unique to the character. It is very similar in style to the Wyatt Earp hat, the big difference (besides color) is the material. 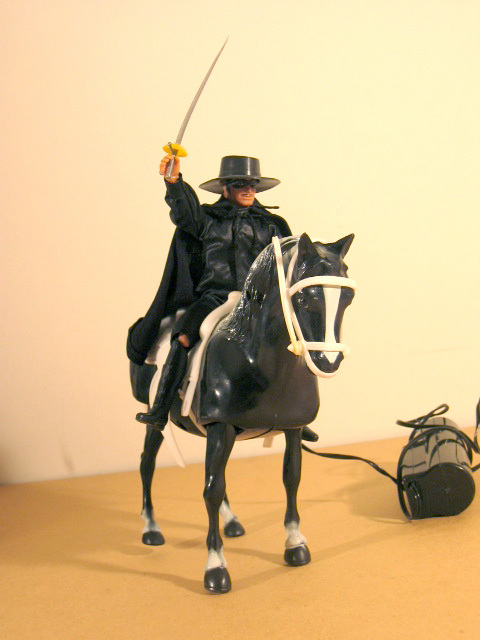 The Zorro hat is a very flexible rubbery material. 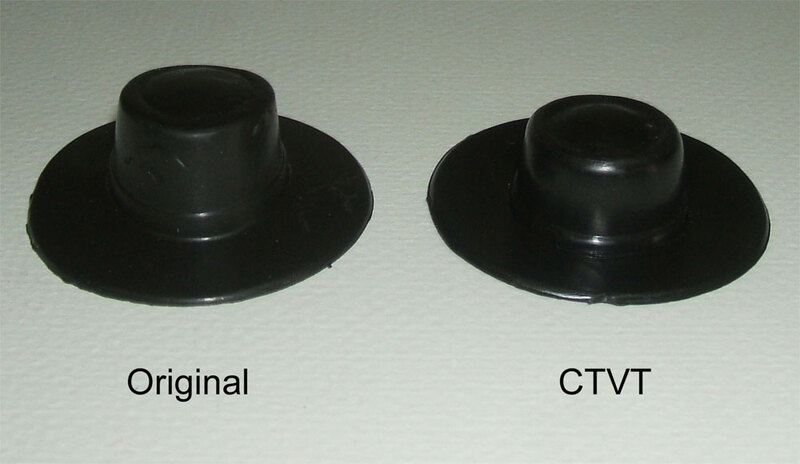 There is a factory made version of the Earp hat in black made by Classic TV Toys. The repro is a firmer plastic and has a much shorter crown. It is unmarked. 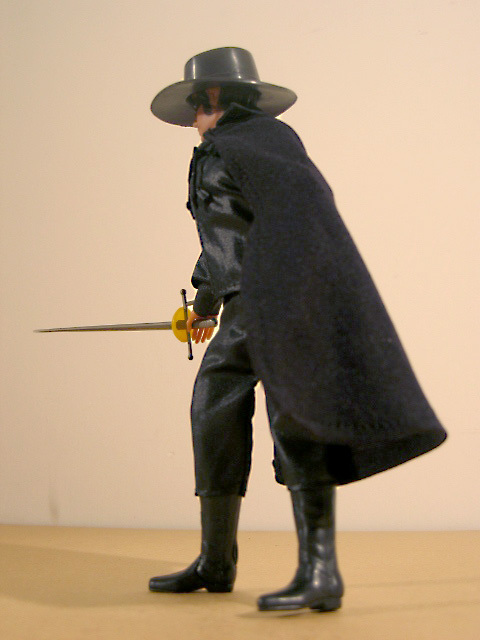 Zorro uses the same sword as the Blackbeard figure from the Pirates line. It has been reproduced by CTVT. The reproduction is very accurate. It is a little less flexible and usually has a little flashing on the edges. It is marked CTV on the blade. Zorro’s cape is made from a different material than the rest of his outfit. It is a soft materal while the suit is made of a shiny nylon material, and has not been factory reproduced. 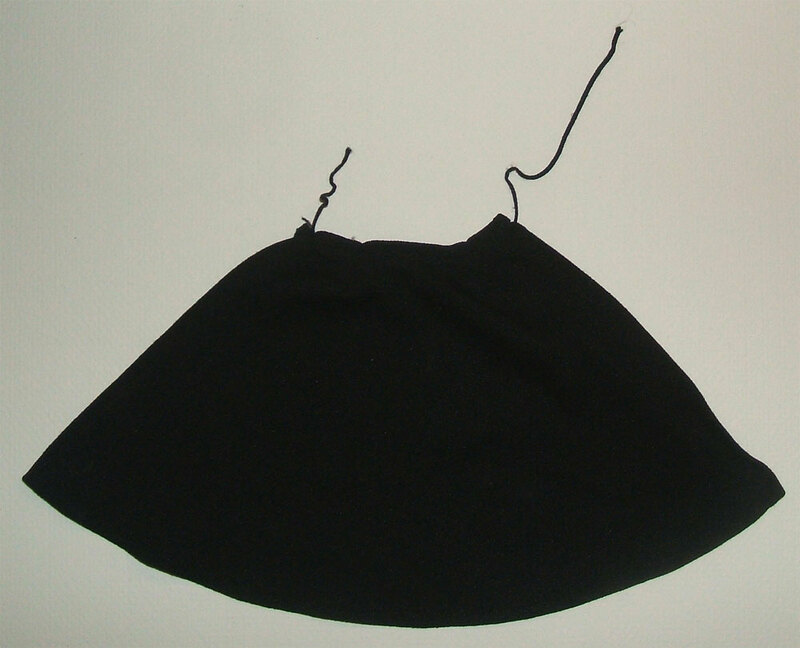 Zorro’s shirt is a shiny nylon material and is unique to the character. It has not been factory reproduced. 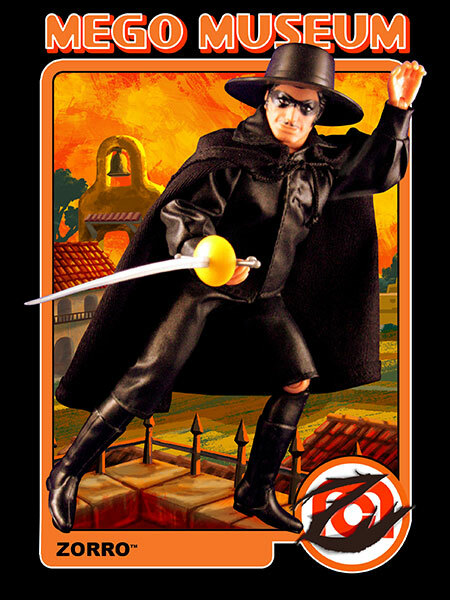 Zorro’s pants are made of a shiny nylon material and are unique to the character. They have not been factory reproduced, however, pants from the Chinese Guerilla figure in the Lion Rock line are very similar in material and fit. They are often used as a substitute. Zorro shares a head sculpt with the Knight’s Galahad and Robin Hood’s Wil Scarlett. A good repaint of those heads or their reproductions can produce an almost factory reproduction. The Zorro head has been reproduced by CTVT. The reproduction is more narrow and has a more narrow painted mask and a more rounded mustache. The head is unmarked. 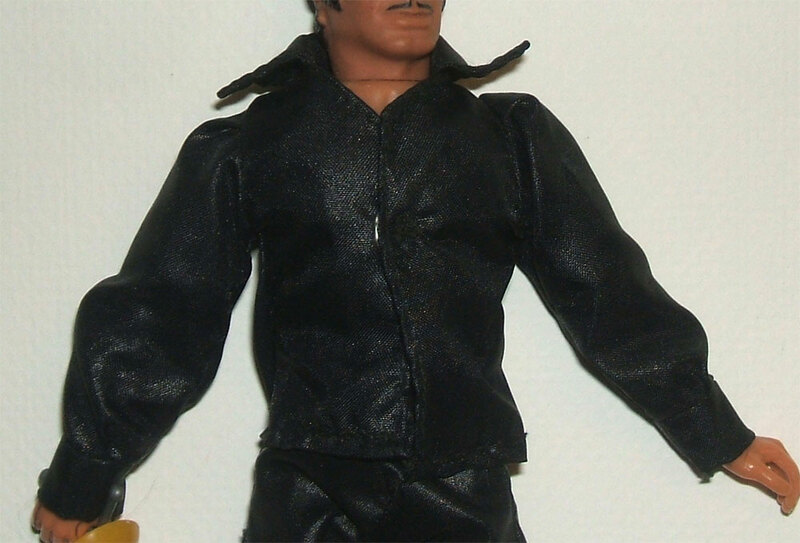 The Galahad/Wil Scarlett head has been reproduced by Doc Mego, but with black hair instead of brown. 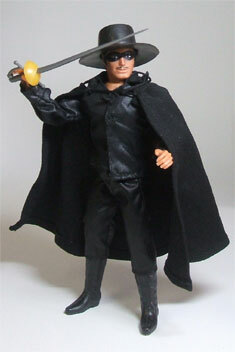 No mustache is on the head, but this head can produce a pretty accurate looking reproduction Zorro head. 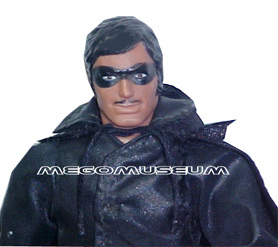 The DM head is marked DM on the back of the neck, and is a little more narrow in the face than an original Mego head. 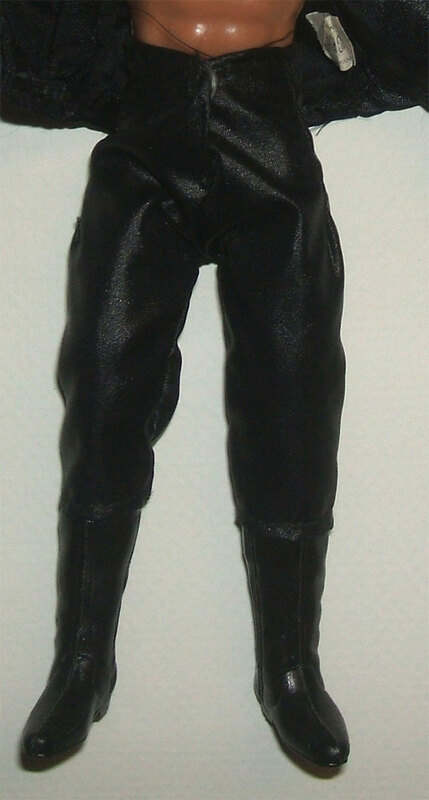 Zorro comes on the type 2 version of the trek boot leg body. The boots on the boot leg body are molded on as part of the lower leg. 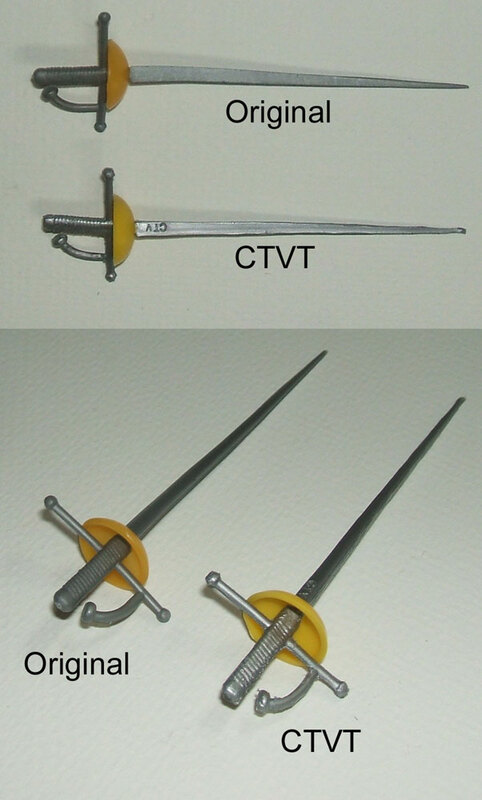 Only CTVT offers a repro of the boot leg body. CTVT’s bodies (marked Figures, Inc. on the back) tend to run a touch shorter, are more fragile, and have a slightly different design. A telltale sign of the CTVT body are the legs that tend to snap together at the knees.